“If you change one thing about yourself, you have the potential to change everything!” This was a closing thought from Brent Lindeque, Good Things Guy and guest speaker at The Glass Recycling Company’s (TGRC) Annual Green Dialogues held last week. The success of TGRC’s dedication to change is highlighted by the latest national glass recycling rate, released at the Green Dialogues, which has now reached 41%. 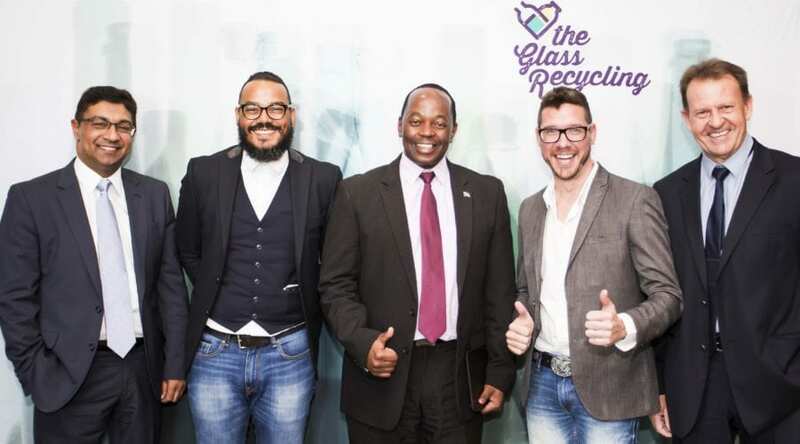 “We are proud to announce the increase in the recycling rate and thank all glass recyclers around South Africa for their commitment to creating a cleaner and more sustainable future,” said Shabeer Jhetam, CEO of TGRC. The company’s objective is to develop and increase glass recycling in South Africa through the education of our youth, nurturing a recycling habit amongst all South Africans through effective communication, as well as establishing a solid national glass collection infrastructure. Kojo Baffoe, entrepreneur, writer and storyteller, and fellow guest speaker at The Annual Green Dialogues highlighted the positive impact of communities who have been empowered by recycling, and reasoned these are important stories to be told. “Glass recycling is a behaviour we all need to make a commonplace. It makes sense and has a real impact on all our lives,” said Peter Ndoro, MC at The Annual Green Dialogue. The South African glass industry has prevented approximately 3, 1 million tons of CO₂ emissions in the last year from being emitted through recycling and the need not produce new glass through the returnable system. As a result, 864 000 cubic meters of landfill space has been saved. Beyond the environmental benefits, glass recycling is a great means of income generation. TGRC provides entrepreneurs with the necessary means to establish their own recycling business. Entrepreneurs (buy-back centres) play a significant role in the overall amount of glass collected for recycling. TGRC also offers ongoing business advice and assistance to these entrepreneurs as well as glass collection infrastructure such as skip bins, large volume bags, gloves, goggles and scales to new entrepreneurs. “Simply put, glass recycling is like banking, the more we put in, the more we get out. And the more we recycle, the more energy and natural resources we save for generations to come,” concluded Jhetam. Encourage those around you to do the same – wouldn’t they feel guilty throwing away glass that can be so easily recycled? Take your kids with you and show them how and where to put their bottles. Make sure you take back returnable bottles your retailer which will washed and sterilised hygienically by the manufacturer, refilled and reused – these include large beer bottles, certain glass cool drink bottles and even many of the bottles used for spirits and liquor.